Three-day literary extravaganza to debut in Boulder, September 18-20. NEW YORK: The Zee Jaipur Literature Festival, the world’s largest free literary festival, will have its inaugural meet in Boulder, Colorado, from September 18-20, but notable Indian American authors like Salman Rushdie, Amitav Ghosh – who both have books coming out later this year, and Jhumpa Lahiri, are still not confirmed for the literary extravaganza, which has had resounding success in India. The Jaipur Literature Festival at Boulder will feature more than 100 notable writers, thinkers, poets and performers in a three-day edition of what has been declared “the greatest literary show on earth,” according to a press release. The list of speakers, as of today, include well-known Indian-origin writers Vikram Chandra, Pulitzer prize winning poet Vijay Seshadri, Hari Kunzru, Amitava Kumar, Arvind Krishna Mehrotra, Anosh Irani, Manil Suri, and Nayana Currimbhoy, among others. Some of the renowned non-Indian origin speakers confirmed for the festival include international best-selling author Jung Chang, Morroccan American essayist and novelist Laila Lalami, Israeli journalist, political commentator and author Gideon Levy, Chinese-American best-selling author Anchee Min, and journalist, historian and award-winning author Simon Sebag-Montefiore. “We at JLF are looking forward to a stimulating and inspirational edition in beautiful Boulder, Colorado,” said Namita Gokhale, author and co-director of the Jaipur Literature Festival, in a statement. Boulder is known for its highly educated, professional population of more than 100,000; for its deep interest and leadership in social, technical and environmental innovation and for fitness and natural health and healing, according to the release. “Boulder is a long way from Jaipur, and we are proud to erect our literary ‘Big Top’ in town and to bring the energy, sparkle and brilliance of Indian writing to a very different world,” said William Dalrymple, author and co-director of the Jaipur Literature Festival, in a statement. conflict; environmental concerns like fracking, famine and water conservation; the poetic imagination and Native American voices. The festival will include a focus on Native American, Latino, African American, Asian American and regional literature. The festival will bring together Indian American, Asian and Latin American authors to explore a variety of literary topics and themes of local and international interest. The three-day festival will be held at the Boulder Public Library and Civic Lawns. A week of lead-up activities is also scheduled at the Boulder Public Library, the University of Colorado at Boulder, Naropa University, the Denver Public Library, the Denver Art Museum and other venues. 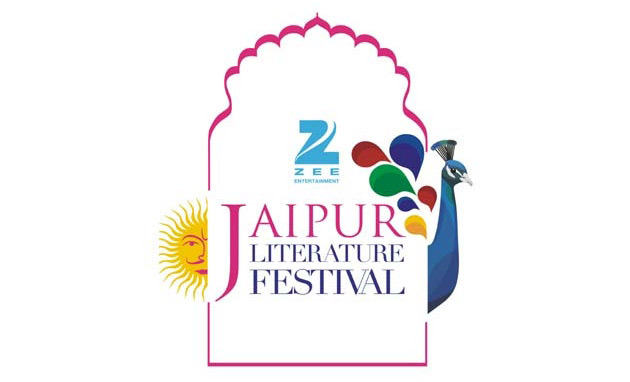 Founded in 2008, the Zee Jaipur Literature Festival is co-directed by authors Namita Gokhale and William Dalrymple, and is produced by Sanjoy Roy and Teamwork Arts, a pioneer in the performing arts space, according to the release.